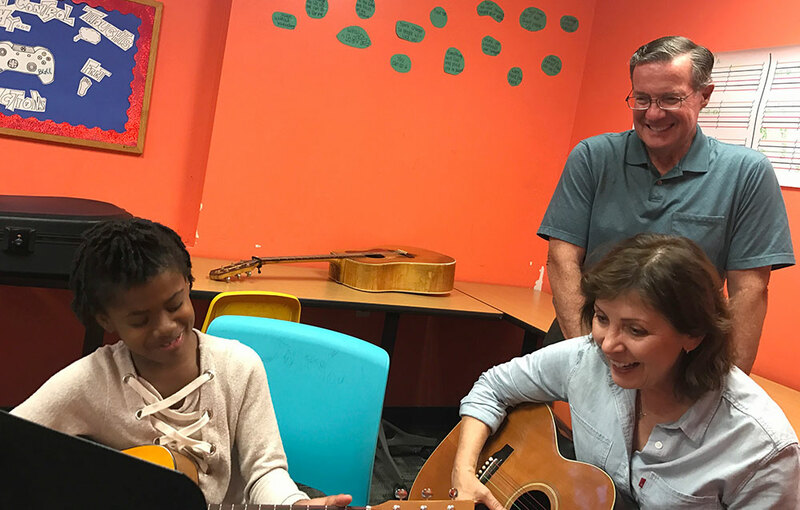 Can kids really teach themselves guitar? Yes! The Color String Guitar Method makes it easy for kids as young as seven to teach themselves guitar. The Color String Guitar Method is the most effective lesson tool for a beginning guitar student. It starts very easily by using multi-colored strings and a rainbow staff. This allows for quick understanding. The three part series — written specifically for colored strings — includes valuable techniques, music theory and songs. By completion of the third book book, the student will have an understanding of chords, melody, the ability to read tablature and treble clef. It’s true. Children can teach themselves to play the guitar. They can teach adults or other kids too. The Color String Guitar Method is the best result for your “kids guitar lessons near me” search. Instead of traveling across town, your kids can teach themselves guitar at home.